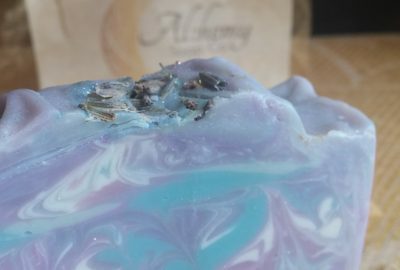 Alchemy Soaps Lotion & Bath Salts & Room Spray, Oh My! Alchemy Soap Co. Lotion & Bath Salts & Room Spray, Oh My! I received a wonderful gift full of love and wonderful smelling products the other day! Alicia of Alchemy Soap Co. had sent me a present. I was so shocked to get it in the mail. I opened it to find a glittering box of gold and blue. The smell was intoxicating. Coincidentally, it came on Valentine’s Day and I could … Continue reading Alchemy Soap Co. Lotion & Bath Salts & Room Spray, Oh My!